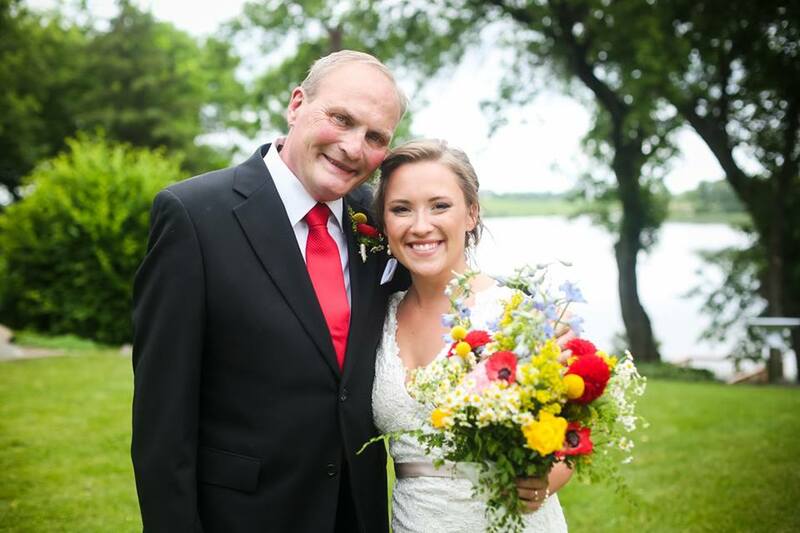 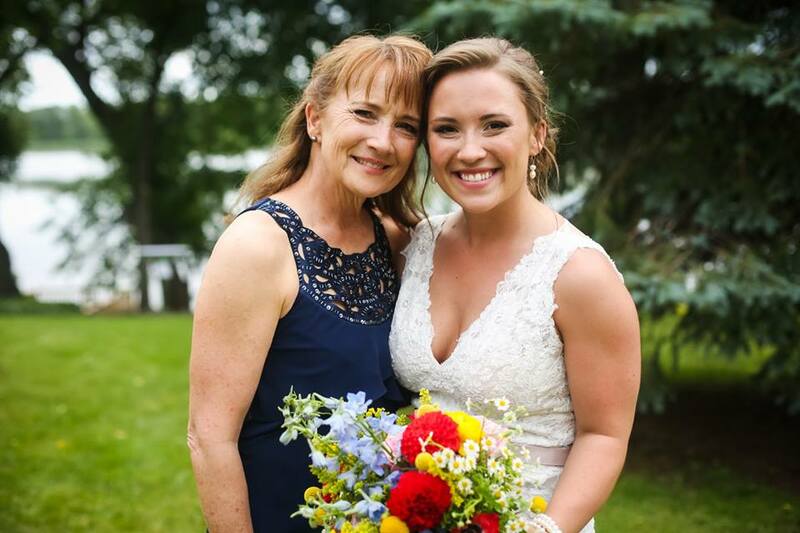 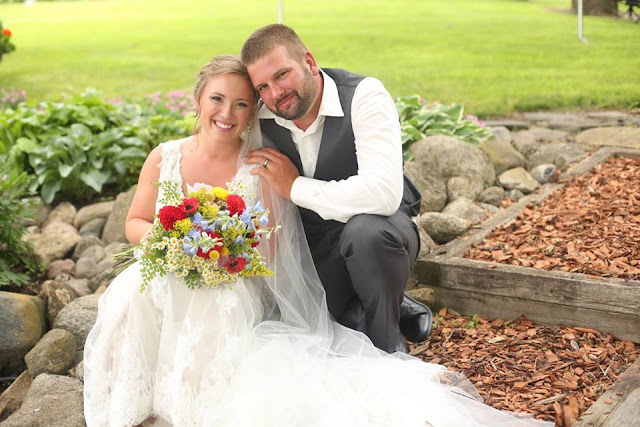 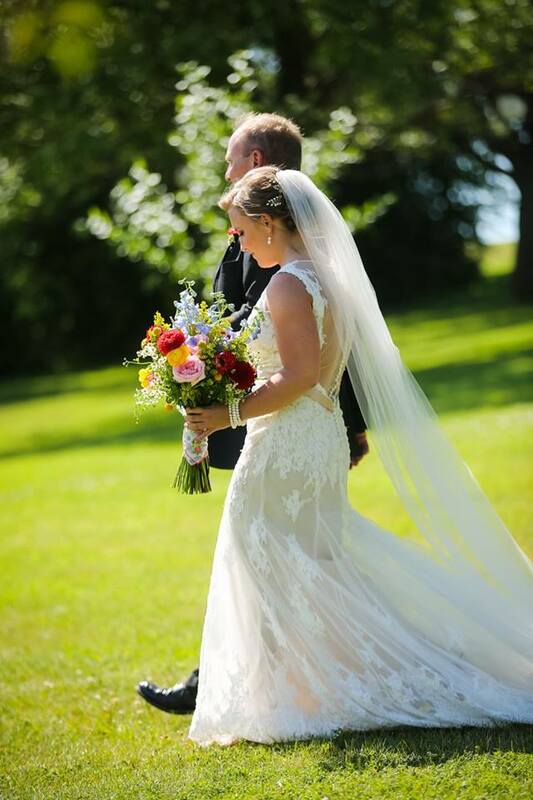 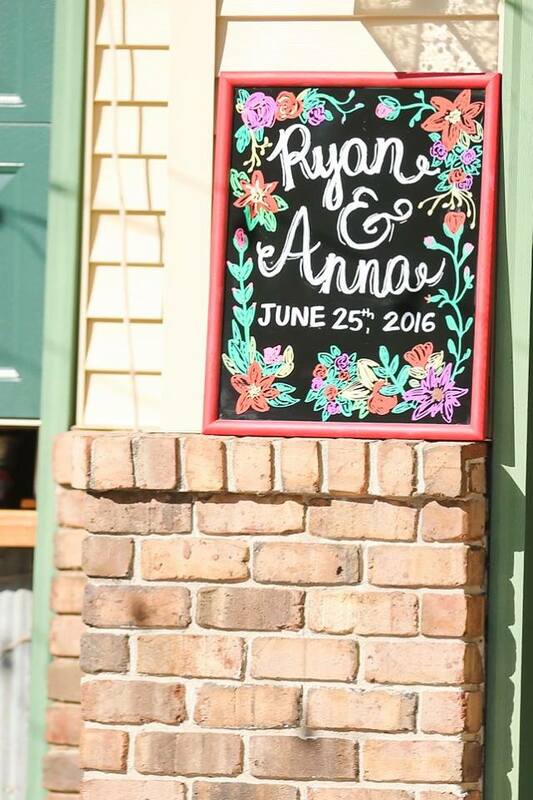 Anna and Ryan Glenz were married at her parents home on June 25, 2016. 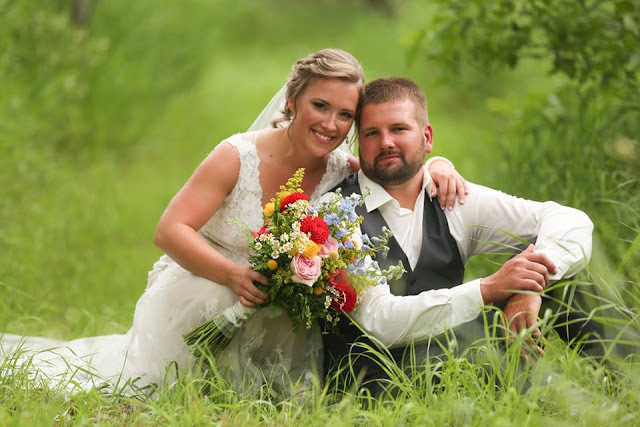 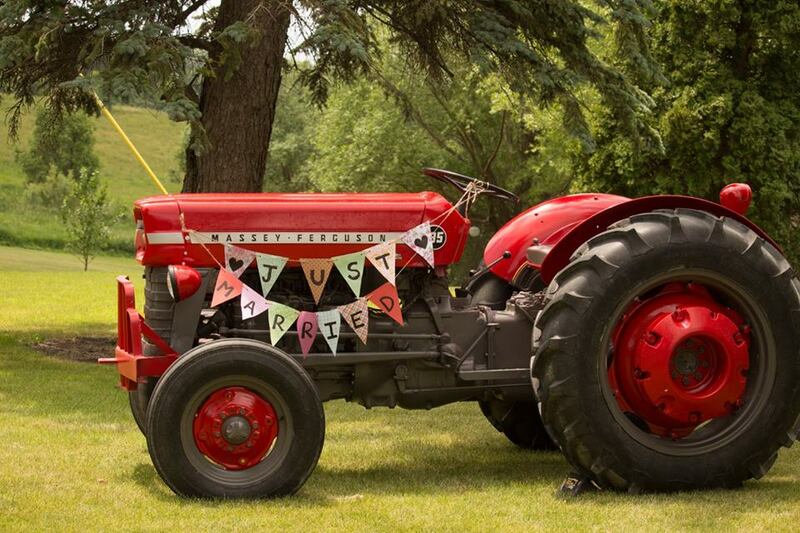 Rolling hills, overlooking a lake, made a beautiful setting for their colorful wedding. The sun was shining with a nice breeze. 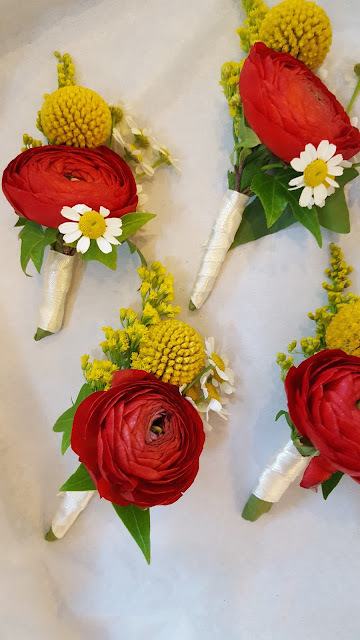 Red David Austin Roses, Pink O’Hara Garden Roses, Yellow & White Ranunculus, Craspedia (Billy Balls), Blue Delphinium, a touch of Maiden Hair Fern, and Feverfew. Reception tables were covered with red and white gingham tablecloths. 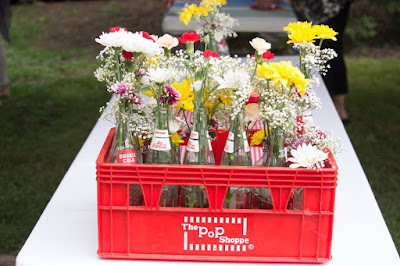 and creatively displayed in antique soda pop bottles. 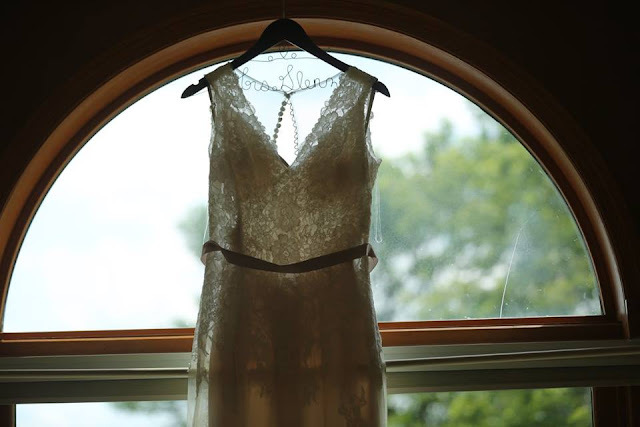 Gorgeous photography provided by ALee Photography Inc.